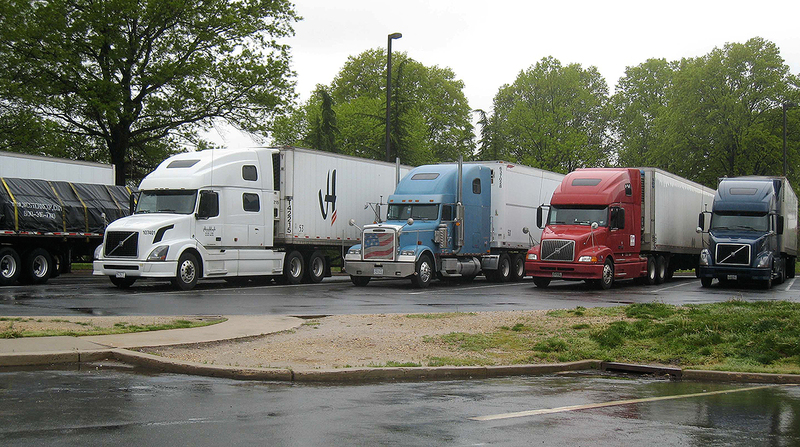 The Pennsylvania Department of Transportation is seeking input on a public-private partnership to address truck parking. PennDOT’s P3 Office issued a request for information from private sector companies on designing, building and operating truck parking facilities, according to a notice published Nov. 20. Input is not exclusive to companies. Any member of the public may comment to PennDOT through Dec. 12. According to the announcement, the request for information is meant to help the agency determine the private sector’s role in the truck parking problem and ways in which the state can encourage partnerships with the freight industry. The request is also meant to help PennDOT identify which parking technology solutions perform well and what constitutes a safe and successful parking facility. Bob Dolan, an XPO Logistics driver based in Pennsylvania, said truck parking is a constant issue that is only exacerbated by the holiday season. Dolan, who primarily operates in the Lehigh Valley area, said inclement weather and traffic present as many challenges as hours-of-service limits to drivers searching for parking. When Pennsylvania experienced a snowstorm a couple of weeks ago, Dolan saw trucks parked along the side of interstate highways as he drove to his terminal. In a survey of motor carriers, PennDOT found that limited overnight truck parking was the highest-ranked problem among respondents. Also, lack of available truck parking ranked No. 5 on the American Transportation Research Institute’s list of industry concerns, which was released Oct. 29. Pennsylvania is important for freight movement, and trucking is expected to grow in the state in the coming years. According to PennDOT’s Comprehensive Freight Movement Plan, the state’s infrastructure network carries 1.1 billion tons of freight, a figure that is expected to increase to 1.9 billion tons by 2040. The feedback from companies and the public may be used to develop a future statewide or local P3 project that would offer solutions to commercial truck parking. Dolan commended PennDOT’s initiative and recognized the importance of working with private entities to build truck parking facilities.